When over 19 million acres of woods slowly explode in a frenzy of color and the state of Michigan is in its annual blaze of glory, there's no better place to be. Find yourself relaxing on the 660' long front porch of the Grand Hotel on Mackinac Island, after dining at the hotel's extensive and delicious buffet. Take a horse drawn taxi ride on this romantic resort island. When autumn arrives in Michigan, that's the time to see the dynamic colors of a trillion trees aflame along the highways, country roads and coastlines. Be prepared to be amazed and take in a little history at the same time. 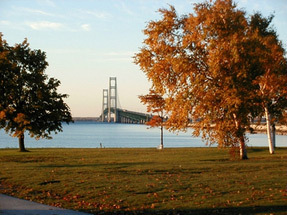 The majestic Straits of Mackinac, and the magnificent Mackinac Bridge, act as a vista connecting the past, present, and future. Climb the tower of Old Mackinac Point Lighthouse and breathe in the spectacular view as generations of lighthouse keepers did before you. 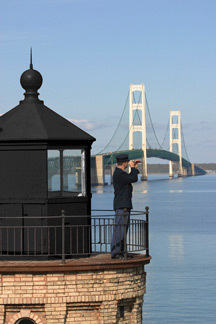 Local Step on guide for a 75 minute historical tour of Mackinaw City, including Old Mackinac Point Lighthouse. Enjoy the ride on the Ferry to Mackinac Island, where you will step back in time on this romantic resort island. Horse drawn Mackinac Island Carriage T our of the Island. 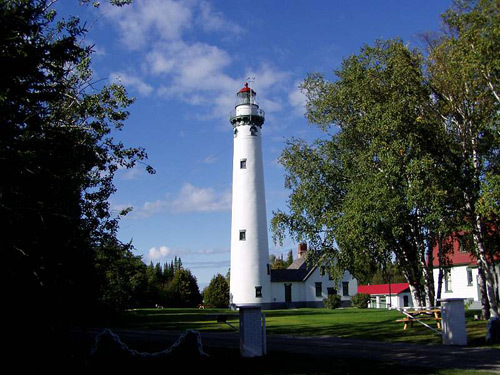 See natural landmarks such Arch Rock and Sugar Loaf, and learn about the island's rich Michigan history. 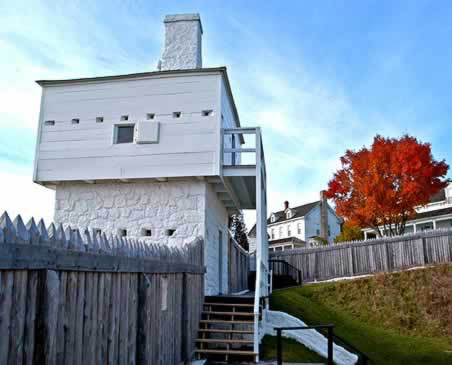 Fort Mackinac, history comes alive when you shoulder a rifle, dance on the parade ground, or fire a cannon. The GRAND HOTEL's extensive and delicious lunch buffet, and free time to spend relaxing on the 660' long front porch. Take a horse drawn taxi back into downtown and enjoy the rest of the afternoon exploring the island on your own. Buy some fudge! In Sault Ste Marie, MI., a step on guide will give a one hour guided city tour of Sault Ste. Marie, the oldest city in Michigan. Soo Locks Luncheon Boat Cruise. 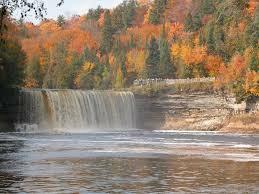 Tahquamenon Falls State Park, and stop to view the Tahquamenon Falls from several observation decks. The Tahquamenon Falls include the 50-foot high Upper Falls, plus the cascades and rapids collectively called the Lower Falls. Souvenir shopping and laser light show at Mackinaw Crossings. 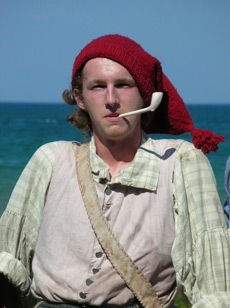 Colonial Michilimackinac: this historic village teems with life! Feel the music of a wedding dance guide your feet, play a baggatiway (lacrosse) game, savor bread baked in an outdoor bread oven, and smell black powder from a cannon blast. Bronners Christmas Wonderland - the largest retail Christmas store in North America. Frankenmuth tour guide for a one hour overview tour of this historic Bavarian town. Chicken dinner that made this Bavarian Village famous and stroll the shops afterwards. Package price will vary depending on selected travel dates, and hotel accommodations.